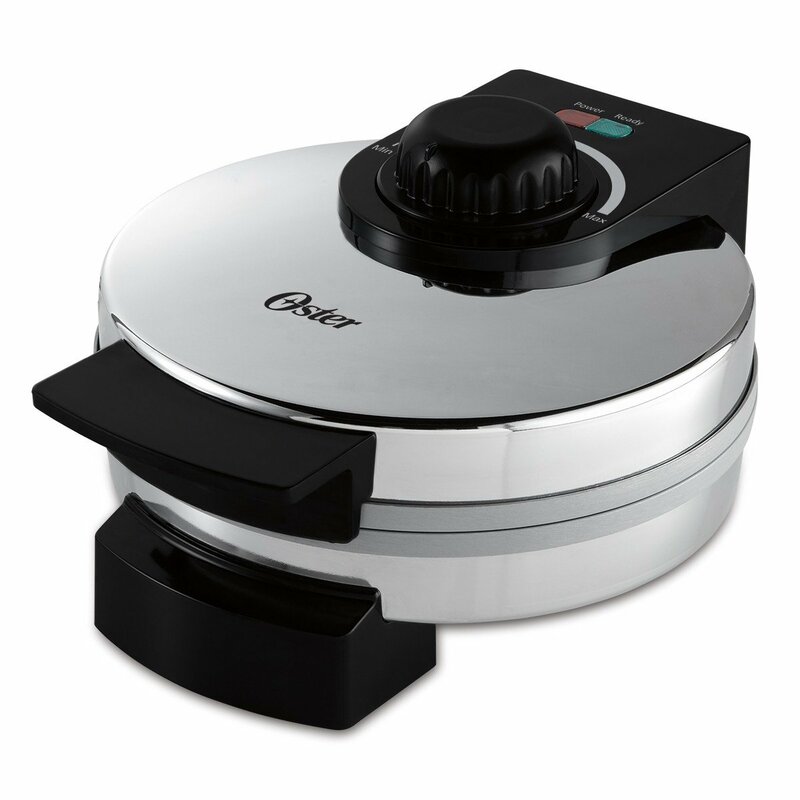 This Oster Belgian Waffle maker is designed with a unique and innovativeDuraCeramic non-stick coating that last 4X longer than standard non-stickcoatings and won't flake or peel. The safe, natural ceramic coating is PFOAand PTFE free, so you can cook foods without worry. DuraCeramic finish cooksup to 20% faster to get you eating quicker and easily wipes clean! This flipwaffle maker is designed to cook waffles to perfection. Adjustable temperaturecontrol accurately sets cooking temperature to achieve desired results fromlight, fluffy waffles to crispy, golden waffles.